Virgin America, the closely watched and rapidly expanding domestic carrier, may be slowing its growth just a bit. The airline reported a $15.8 million operating profit for the third quarter, resulting in a 4 percent operating margin. 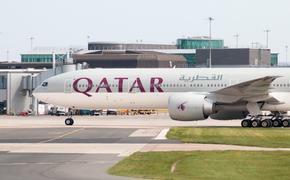 Despite high fuel prices and more capacity growth, the airline reported an operating profit for the quarter, improved unit costs, and an increase in average fares. But the airline also deferred new orders of A320 aircraft. For the third quarter, the carrier also recorded a 24 percent improvement year-over-year in earnings before interest, taxes, depreciation and amortization, and aircraft rental expense (EBITDAR). Year-to-date, the airline reported a record high EBITDAR of $135.7 million, an improvement of 23 percent year-over-year. Cost per available seat mile excluding fuel (ex-fuel CASM) decreased year-over-year by three percent in the three months ended September 30, 2012. As a privately held company, Virgin America is additionally forecasting an operating profit for the fourth quarter of 2012. From the third quarter of 2010 through the third quarter of 2012, the airline increased available seat miles (ASMs) by 73 percent, significantly outpacing the industry ASM growth average of 0.4 percent. Virgin America's rate of growth was necessary to establish the airline's core network and to achieve economies of scale. As the airline absorbed the tail-end of this growth cycle, however, its entry into new markets created margin pressure, which offset gains in more mature markets. The airline's core markets (those operated more than 24 months) achieved an operating margin of 8 percent in the third quarter and were profitable year-to-date. This performance in mature markets was offset by weaker performance in newer destinations added during the airline's rapid two-year growth phase. Virgin America said this phase of accelerated growth is now largely complete, as the airline plans to take delivery of just one additional aircraft in 2013. "Our major challenge has been managing significant growth into new markets during both a recession and an environment of historic oil price highs," said David Cush, President and CEO of Virgin America. "All airlines have faced these same industry challenges, but none have done so as a brand new carrier fueling 73 percent capacity growth in the past 24 months. We’ve consistently seen that markets we operate in longer than 12 to 18 months mature into profitability, demonstrating that once people fly with us, they stay with us –- especially higher-yielding business travelers." Virgin America said it reached an agreement to modify its Airbus aircraft order. Under the revised agreement, Virgin America's order for current engine option A320 aircraft will be reduced from 30 positions to 10, with delivery of those aircraft occurring in 2015 and 2016. In addition, the airline announces it will defer its 30 Airbus A320neo positions to new delivery dates in 2020 through 2022. Virgin America has taken delivery of 24 aircraft since the first quarter of 2010 –- growing to a fleet of 52 Airbus A320 Family aircraft.